Diode laser platform developed with the same technology as our medical device primelase. elysion’s maximum peak power is 2000W and it has different wavelengths (755nm, 810nm, 940nm y 1060nm) in order to work in all skin phototypes and kind of hair during the whole year. 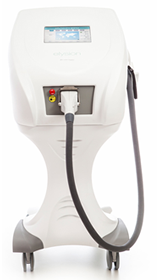 Body contouring device developed with the same technology as our medical device cooltech. crystile advanced treatments are totally non invasive as well as pain free and visible results are achieved in a very short time.